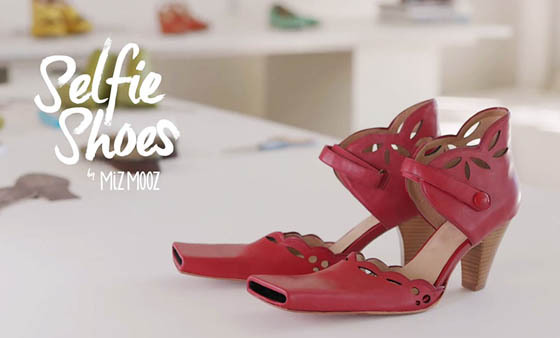 Miz Mooz, a popular shoe brand in New York, has released a unusual shoe design that claim to revolutionize the way women take selfies. 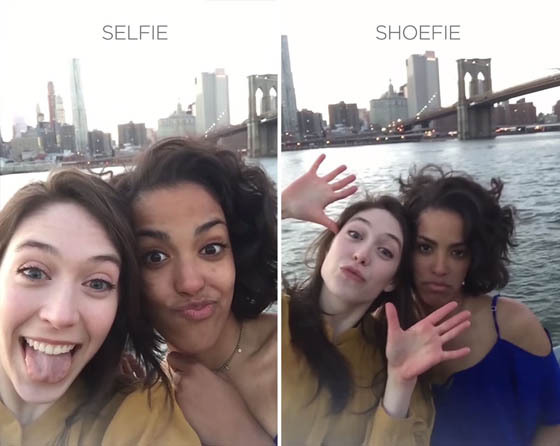 The idea behind the shoe is to solve all the problems that women run into when they have to use hands or selfie sticks to take their selfies. 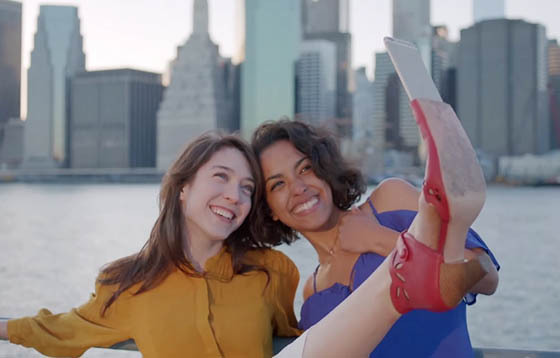 These shoes have a smartphone dock in the lengthened toes that will allow women to use their legs as extended selfie sticks. Sounds a wonderful idea? However, there are some concerns make the design not that pracitcal. You have to lift the leg pretty high to make sure your face in the camera. Not everyone can do that and every dress allows you to do that as well. Moreover, since you don’t need hand to press the shoot button, you have to rely on timer. Hence, you might end up lifting the leg for too long if you want to have enough time for adjust or don’t have enough time to get yourself ready in the camera. Last but not least, the shoes looks pretty silly with the smartphone dock in front. Of course, above is only my personal thoughts. Check the video at the bottom and make your own decision. Do you want a pair of shoes like these.